2. 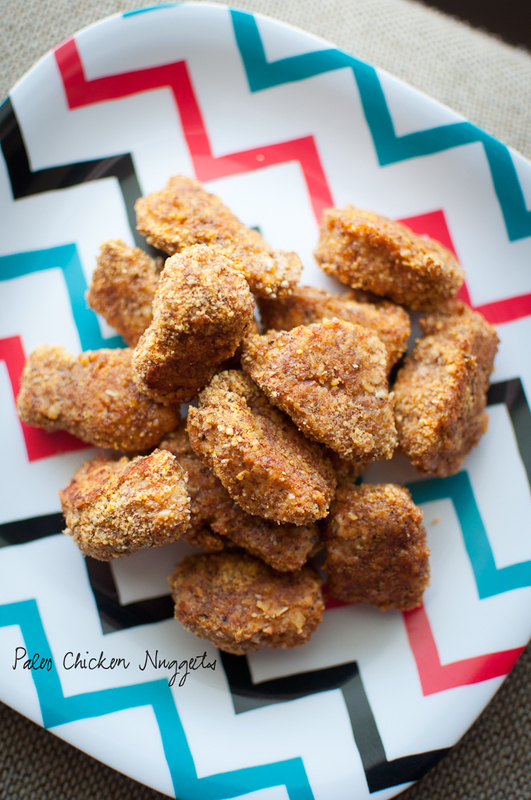 Rinse your tenders under cold water, pat dry with a paper towel and then cut into about one inch pieces. 3. In a large bowl or plate mix together the almond meal, paprika, garlic powder, onion powder and black pepper. 4. In a separate bowl beat the egg with a fork. 5. Drop a few pieces into the egg bowl and then transfer each piece to the almond meal bowl making sure you cover the "nugget" well with the almond meal mixture. 6. Place them in a single layer on a parchment lined baking sheet. 7. Bake for 30 minutes turning once half way through. I made these for my daughter yesterday, and I ate as many as she did - they were great! Will be making these again - thanks! Made this for dinner today - they were perfect!! !